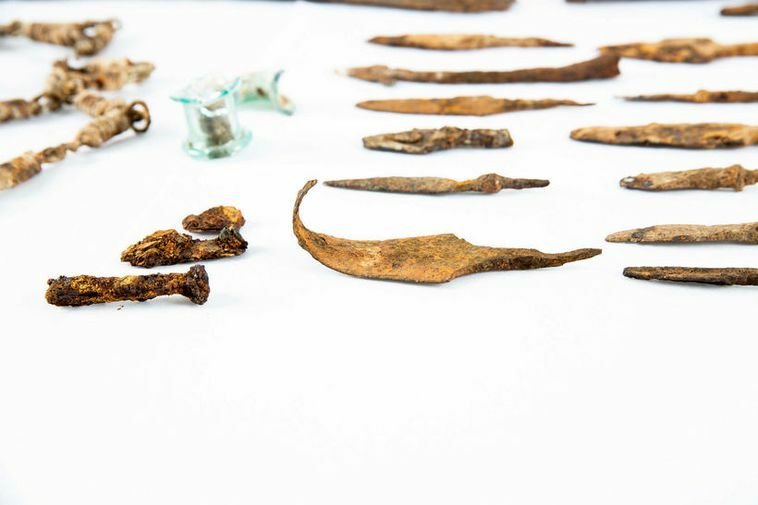 Ancient Viking artefacts were handed over to the National Museum last week from the Sorpa recycling and waste management centres and had been found in one of their waste containers. The owner of the artefacts has now stepped forward saying that his aunt was tidying up in his storage room and threw them away, not having known what they were. This morning, the owner of the objects, director Arró Stefánsson revealed in a Facebook post that he is the owner and that his aunt threw them away. "She was just emptying out the storage, old clothes and stuff and this just accidentally went along with it," he said speaking to Mbl.is. Morgunblaðið first reported the find on Saturday when they were found in the waste containers in Dalvegur, Kópavogur, wrapped in toilet paper in a plastic box. Among the objects were spearheads, arrows, axes and more, all of them very rare. Stefánsson, who is currently in Taiwan, told mbl.is that he was woken up by family and friends who had read the paper and recognised the objects. He says that he's amazed that the objects were found in the rubbish and has contacted the National Museum to retrieve them. "I've been colleting old relics since I was 11- 12 years old. Most of the objects were bought online and in collector's shops in the US and the oldest objects are over three thousand years old. He said he almost had a nervous breakdown when he found out his collection had been thrown away but is happy that they were retrieved.